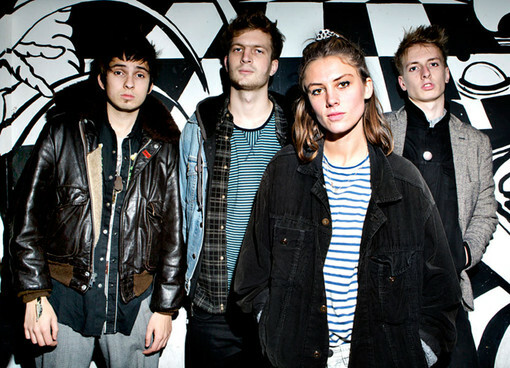 Wolf Alice’s smash hit single Fluffy has been floating around for a few months, yet it’s impossible to tear yourself away from their early punk/grunge layered sound for too long. One user on the band’s Soundcloud account commented that they’re happy bands are “still making music like this” and this sums up our feelings about the London four-piece in one. With talk of “searching for cheap thrills” and selling souls, lead singer Ellie Rowsell paints an apathetic picture, but it’s not all doom’n’gloom. The group’s distinct brand of moody grooves packs a punch with clattering drums, ferocious riffs and searing guitars that save the track from wallowing in its own despair. North London’s finest will be pitching their tents at End Of The Road Festival in Dorset this August, so if you fancy grooving to their tunes, this festival is the place to be.